Condo owners often have unique coverage needs. Our condominium policies are designed to fit perfectly. In Florida, condo living is all the rage! Both inland and on Florida’s extensive coastlines, condominium properties are abundant and are the logical choice for many Sunshine State residents. Available in a variety of sizes and with an abundance of amenities, condos are suitable for single young professionals, couples just beginning their lives together, retirees, and those looking for a wise and often affordable investment. Just like any home, condominiums need to be insured, and Olympus offers Florida condo insurance suitable for a wide variety of properties. However, condo insurance is a bit different from traditional homeowners policies. That’s because condominium associations usually carry master insurance policies of their own that cover building exteriors, common areas (walkways, lawns, parks), and sometimes items inside each unit that are not the owner’s personal property. Therefore, those shopping for Florida condominium insurance need to secure a policy that covers the portions of the unit that the association’s policy does not insure. In addition, a suitable condo insurance policy should protect all personal property (clothing, jewelry, furniture) from loss. In some instances, an association’s master condominium insurance policy does not insure the overall structure and, as a result, the unit owner will need to purchase a traditional homeowner’s policy. Hence, it’s important for new owners to secure all the details of their insurance needs from their association upon signing an agreement of sale and to present them to an Olympus Insurance professional, who will be able to design an appropriate Florida condo insurance policy that meets the owner’s needs. In most cases, proof of condominium insurance must be presented at time of settlement. This is because condo insurance protects not only the owner/inhabitants of the unit but also others in the building in the event of fire, flood, or other catastrophe. Most policies also contain a liability clause, which protects the customer against a lawsuit or claim filed by someone who may be injured while inside the condo or whose property may be damaged while they are on the condo premises. Replacement cost on contents is also available. 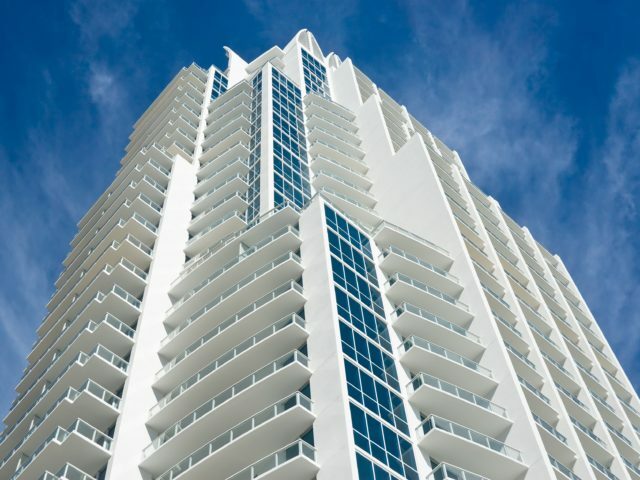 Ask your Olympus agent about liability coverage when checking Florida condo insurance rates. Why Should You Get Florida Condo Insurance Quotes From Olympus? Because Olympus Insurance specializes in the Florida market, our licensed professionals are well-versed in the particulars of condo insurance in Florida and can custom design a policy to meet the needs of you the homeowner. It doesn’t matter if the condominium is a small unit in an inland residential area or a sizable luxury penthouse condo with an ocean view. Thanks to an abundance of experience and a keen knowledge of the condo market in the Sunshine State, Olympus agents can provide you with comprehensive policies at the most competitive prices available. Claims are handled quickly and efficiently with the goal of getting things in your life back to normal as soon as possible. The promises made on the piece of paper you call an insurance policy are only as good as the company that wrote them. Olympus Insurance is the emerging leader in Florida condo insurance protection. We are financially stable and fiscally sound so that we can keep our promises to you.